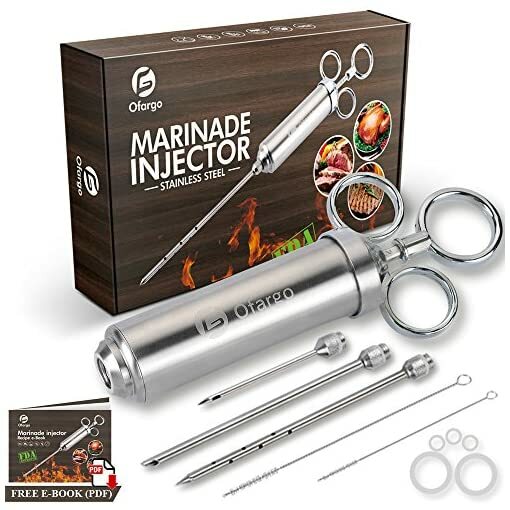 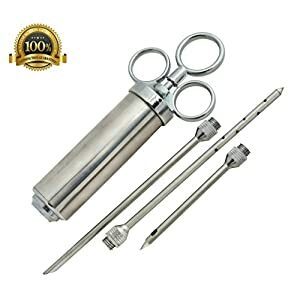 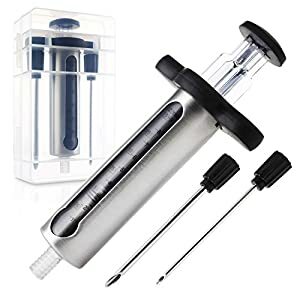 Ofargo’s Meat Injector FDA-approved, 100% Food-Safe Culinary Stainless Steel and Silicone, Easy to Use and Clean (Dishwasher Safe), Heavy Duty Kitchen BBQ Grill Tool. 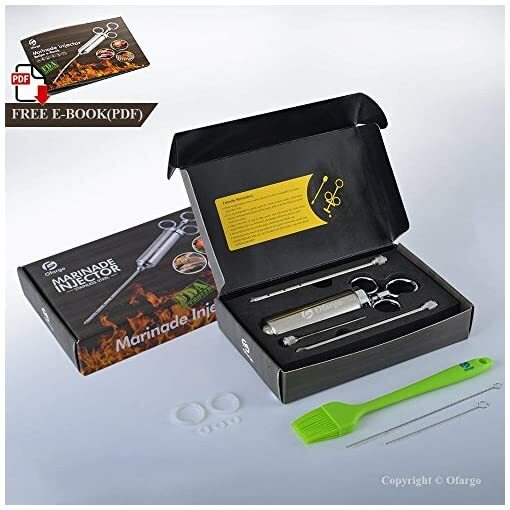 FDA-approved, 100% Food-Safe Culinary Stainless Steel and Silicone, Easy to Use and Clean (Dishwasher Safe), Heavy Duty Kitchen BBQ Grill Tool. 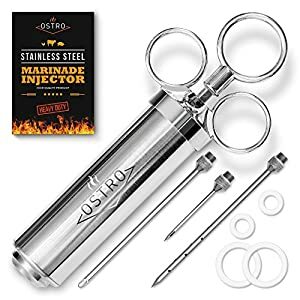 Made of FDA-approved materials for food injector kit (304 stainless steel and silicone); stay your family safe and healthy. 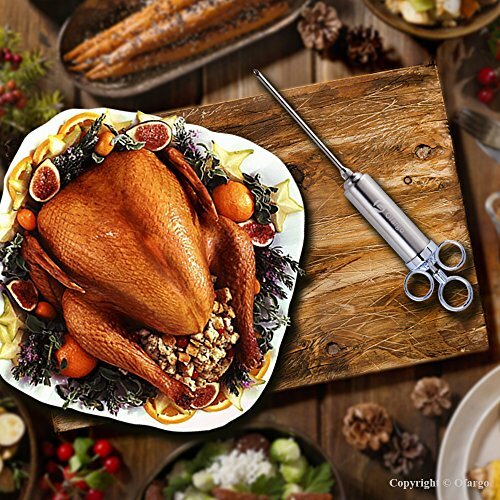 Stainless steel turkey injector and syringe needles are very solid and durable, which can accompany your family many years. 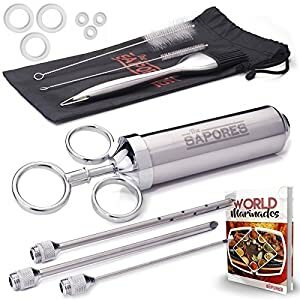 3 different types of meat needles for multiple meats and poultry to add flavors, shortening food ingredient preparation for upcoming party, BBQ or grill. 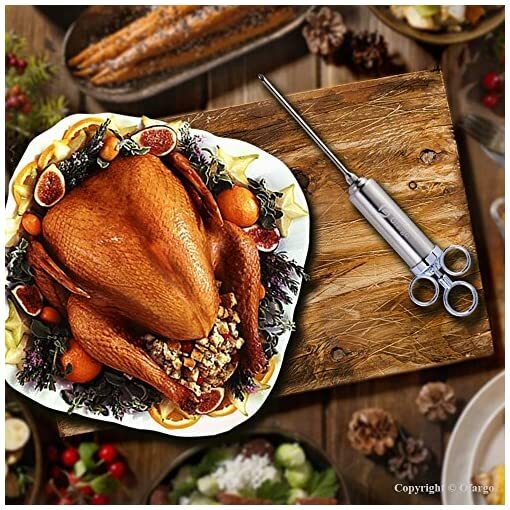 NOT clogged, weak suction, bottom leak, rust or broken; ultra-sharp to pierce the toughest cuts of meats or poultry. 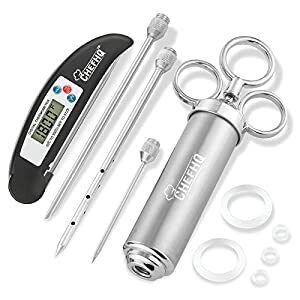 At Ofargo, we believe in our products. 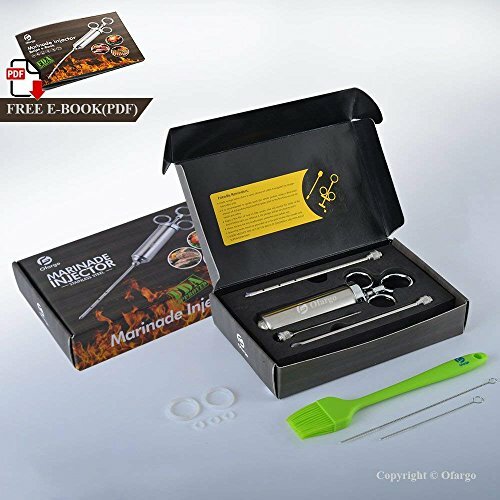 That is why we can guarantee A 100% Unconditional Money-Back Return Policy. 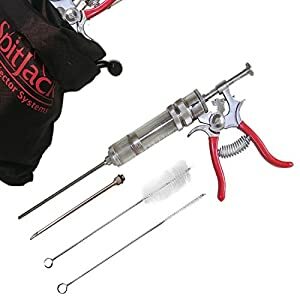 Our friendly customer service team are at your disposed. 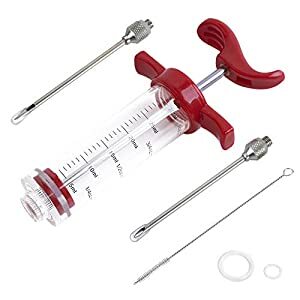 * Seasoning herbs should be grounded up to be quite smaller than needle holes. 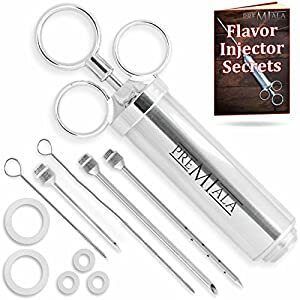 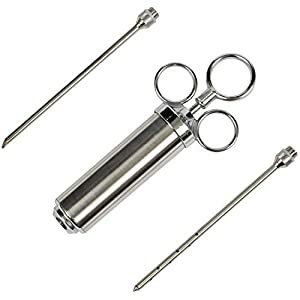 ✅【What You Get】1x 2-OZ capacity flavor injector barrel, 3x meat needles, 5x spare syringe silicone O-rings, 1x needle cleaner, 1x silicone BBQ basting brush, 1x EVA box for safe and convenient storage, 1x Recipe E-Book; friendly customer service, and A 100% Unconditional Money-Back Return Policy, in case of you don’t like it. 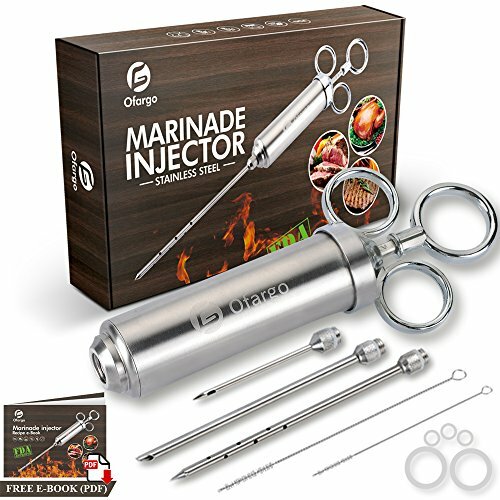 Marinade needles are pretty sharp! 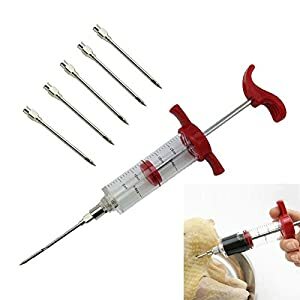 KEEP OUT OF THE REACH OF CHILDREN!